The afternoon finds me at the Royal Gorge Trail, just north of the Ridgecrest. I am seated at a picnic bench with an incredible view of the Appalachians Mountains. I found out last night from someone that, according to the locals, we outsiders pronounce the name of the mountain range incorrectly. I had always said “Ap-a-LAY-shuns.” Here, they say it’s pronounced “Apa-LAH-chins.” Interesting…I guess they would know best. Well, here I am, looking over the mountains, whatever they’re called. It’s so quiet and peaceful here. I almost wish that I could bottle this up and take it home with me. It would be nice to come home after a long day of work, and to open the bottle and relish the solitude once again. It’s evening now. 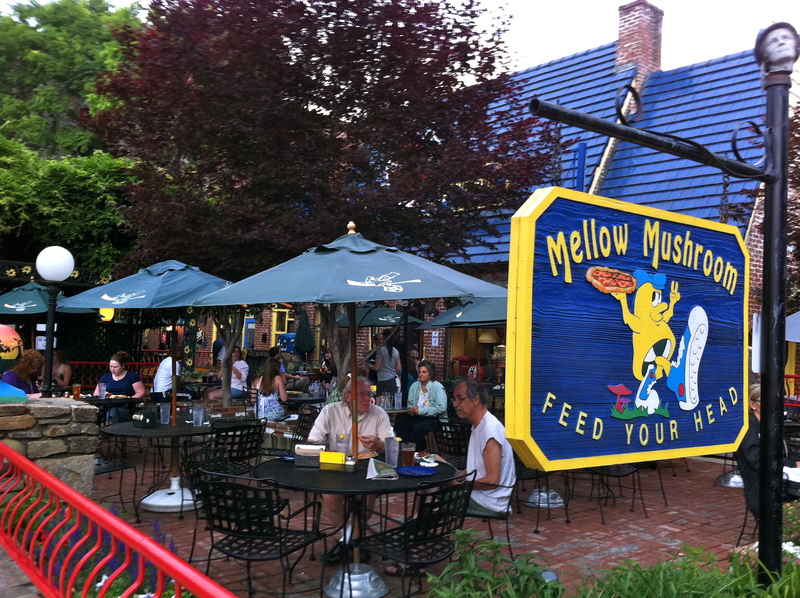 After Mitch and Taylor got off work, we went to dinner at a place called “The Mellow Mushroom,” a trendy little place in downtown Asheville. We had pizza and some of the best pretzels I have ever eaten! Afterwards, we drove up to Mt. 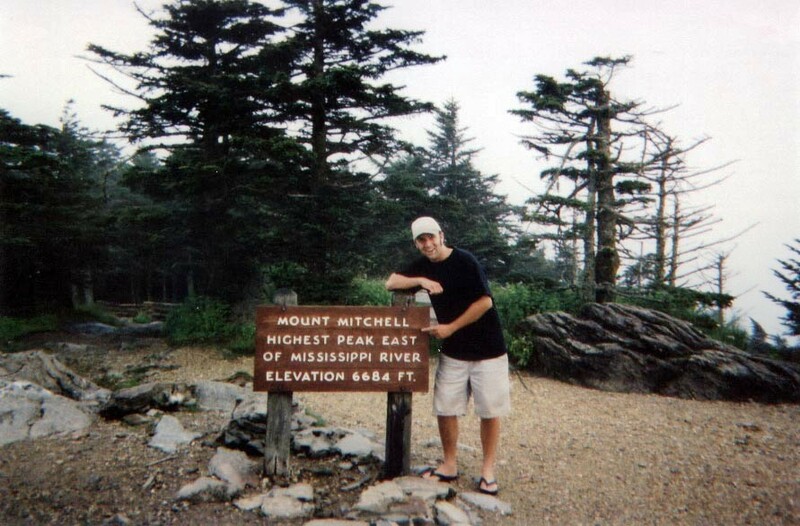 Mitchell, the tallest mountain east of the Mississippi. So that’s been my day. A great deal more relaxing than the previous week, I must say. However, there hasn’t been quite as much to write about. I’ve been looking over my journal entries over the course of my vacation…I’d like to rewrite my notes when I get back home and see if I could put together an interesting story of a rube’s journey out east. There have been so many things that I’ve noticed on my trek—small things mainly… I hope that by writing all of this down, I would be able to develop a sense of what my experience has been like; to capture the flavor of the east. I’m sure it’s nothing exciting to the locals, but to me it’s all new and fresh. I love travel!